Filmmaker Josh Fox is the embodiment of misguided environmental good intentions. His recent environmental “documentary” on HBO titled, “How to Let Go of the World and Love All the Things Climate Can’t Change” was labeled “conceptually scattered” by Variety, “scattershot” by the NY Times, and Village Voice called it an exercise in, “exasperating self-importance.” It is people like Josh Fox who give the entire field of “environmental filmmaking” an unwatchably bad reputation. He needs to quit. Environmental filmmaking is hard enough without this guy further ruining the brand. Please stop. I recorded Josh Fox’s recent HBO film (the lengthy title is above) and tried to watch it, but I honestly couldn’t make it through the opening self-loving credits of him dancing alone in his home. So I’ll just let Village Voice, Variety, and the NY Times provide the details with their reviews. I disliked his first movie, “Gasland” enough. It featured his stooooopid “breathy voiceovers” (as the Village Voice review calls them) that automatically speak of distortion, dishonesty and exaggeration with every breathy word. This is not “documentary” filmmaking by any stretch of the word. It is biased, self-certain editorializing at a level beyond even Michael Moore. It’s the sort of polemics that chase away people who are on the fence about the severity of environmental concerns. “Gasland” at least had enough storytelling to garner good reviews. But here’s the problem — both the Motion Picture Academy (it was nominated for an Oscar) and the majority of film critics are lefty do-gooders who are more than willing to give these sort of boring “documentaries” a positive review simply because the films carry their values and politics. The reviews are generally characterized by a “YOU NEED TO SEE THIS MOVIE” attitude. The truth is, nobody needs to see any movie, ever, unless it is truly interesting, coherent and engaging. Not “scattershot.” It really doesn’t work to have “some good sequences” buried in a boring mess. The entire film needs to be watchable. The planet really does need tightly scripted, well told narratively structured filmic essays on these issues of the sort that even environmental opponents can concede are well made. And what is it with these “critics” that they don’t grasp the fact that a film needs to both have the right message AND be watchable to actually advance their beloved causes? 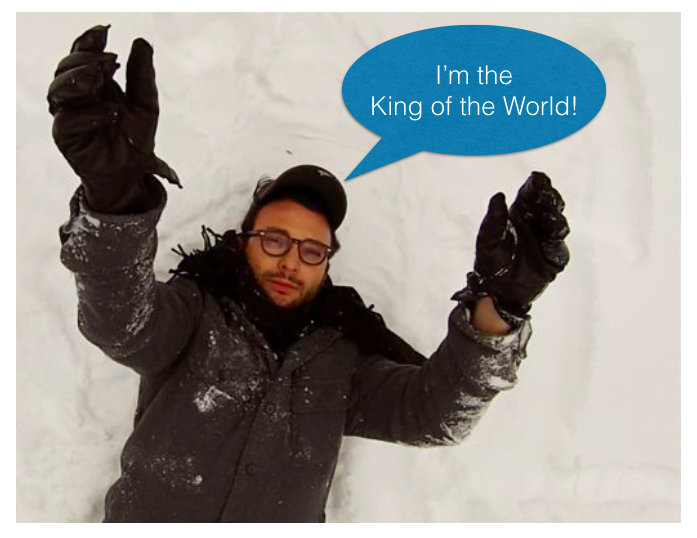 There is no excuse for what Josh Fox does other than self-indulgence, laziness, distraction, and self-delusion. The goal of good filmmaking is “to tell a good story.” This is even more important when the credibility of an extremely important issue like environmentalism is at stake. Supporters of environmentalism need to realize that Josh Fox is hurting, not helping. If you care about the planet, you should ask him to stop. What he’s doing is worse than Exxon. I know that sounds like an exaggeration, but it really is true.